Webinars have proven to be the savior for B2B marketers time and again. In a recent CMI research, 66% of the B2B marketers who tried webinars found them to be effective. It can be an educational webinar that increases email subscribers or customer webinars that line up prospects to your sales pipeline — if done right, there are fewer tactics that come close to accelerating the growth of a SaaS business as effectively. There are many factors that contribute to the success of a webinar, however in this post, we will primarily do a deep dive on webinar promotions. The idea here is to give you an exhaustive list of strategies / checklist you can adopt to get an encouraging number of registrations and attendees to start with. So let’s begin. Build relationships with similar brands or possibly, industry influencers in your space that also attract your target audience but is still not your competitor. If you are an A/B testing software, for example, tying up with a UX research tool would make sense. A good starting point is to find the right point of contact and email them directly with your pitch and some common webinar topics that will cater to the audiences of both the brands. Such joint webinars help you tap into the email list built by the other brand which immediately boosts your email subscribers and overall visibility in the industry. Just getting started with your marketing and do not have a boastful subscriber list to return the favor to your partner brand? Go for paid webinars. Every industry has some authority publishers with huge subscriber lists of engaged readers. Such websites often have media kits for you to explore paid partnership options with them. Starting range for webinars is usually around $4-$5k USD and can vary a lot depending on your industry and promotion requirements. Internet Retailer is one of the prominent publishers in the eCommerce industry, covering the latest and the most innovative trends in the space. Starting range for their webinars is around $18k-$20k USD. Don’t let higher prices like this scare you though. If your AOV is also on the higher side, this might work as a great channel for you to acquire new customers. Pro tip: Customer webinars can work really well to help you get the ROI from your paid webinars. Invite a happy customer and create a before-after story of your product. Allow your attendees a quick Q&A session with your customer before you conclude the webinar. This tactic can help you get a lot of qualified leads with a remarkably shorter sales cycle. Everyone makes creatives for webinar marketing. But considering that videos is currently picking up pace in almost all aspects of marketing these days, leveraging a short video for your webinar promotions can help you get immediate attention. Your speaker can record a short synopsis to set some expectations for the upcoming webinar and create buzz. Mindvalley is a Malaysia-based company that makes compelling introductory videos with their speakers to increase webinar attendees once they have signed up. For some inspiration, you can also take a look at this video created by Jotforms which got them 2400 registrations and over 500 attendees. Of course, once the video is ready, you can use it everywhere — blog, social media, email — you name it. While some companies prefer to begin their promotions a month before the webinar, this can be a huge time gap and you might fall off people’s radar easily. 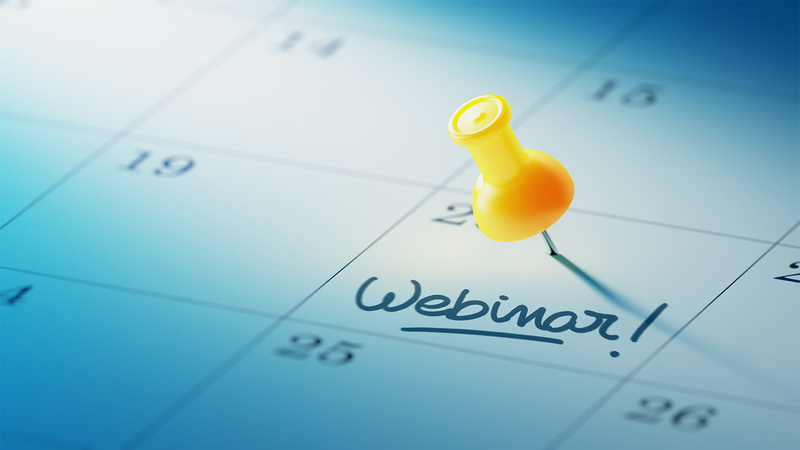 Most companies, thus, often begin their promotions around 10-12 days prior to the webinar. Blog – An announcement blog that provides an overview of who should attend this webinar, what topics will be covered and talks a bit about the background of the speakers should provide enough reason to get people to register. Later, you can even do a post-webinar promotion post to cover key takeaways for those who couldn’t attend / register and provide an on-demand link to collect more leads even after the webinar is over. Another idea for a post-webinar blog post is to take audience questions you couldn’t address at the end of the webinar and make it into a post. This would require some co-operation on the part of the speaker but can be very interesting to engage your attendees later and even get more registrations through the on-demand webinar page. Check out this post by VWO to know more. Email – As a standard, a standalone registration email is first sent out to the company’s email list. This is followed by another reminder or “last call” email sent two days before the webinar to the non-registrants. If you have a monthly newsletter, feel free to utilize that as well. In general, you can expect 30-40% of your registrants to attend the webinar. But like a good marketer, you must have a clearly laid out plan to ensure maximum number of people show up. If you are using GoToWebinar to set things up, they offer an email sequence to automate this process. This sequence basically keeps you on the top of mind of the registrants until the event starts. A typical scenario here would be a confirmation email sent out soon after someone registers for the event, which is followed by an email sent out 24 hours and then one hour before the webinar starts. You can tweak this sequence the way you see fit. A good experiment will be to ditch the email sent one hour prior to the webinar for an email sent 15 minutes before the webinar begins and see which one works better to increase the number of attendees at the event. Social media – Posting on your company’s Twitter, Facebook, LinkedIn and other relevant social channels is a standard. Be sure to use a hashtag for your promotions and even add the post on active industry groups on Linkedin and Facebook, and even Slack communities if possible. A short blurb (or a Hello Bar) on the homepage, exit-intent pop-ups on the entire blog, or a banner in the blog’s sidebar are all acceptable ways to promote webinars on the website. If it seems relevant, you can even add a pop-up on other relevant pages of your website as well. Like a group product demo promotion can be extremely interesting for visitors who are evaluating your product and have visited your pricing page. You can even add a call to action at the end of some relevant blog posts to make the most of the traffic you are receiving on your blog post. Be sure to use your discretion on where to draw the line between offering a soft nudge and pushy advertising. Send out an email to everyone in your company to help you spread the word. A click-to-tweet link or a pre-written message for Facebook or LinkedIn can improve the response rate considerably. Customer-facing teams can also add it to their signature to improve the reach. Is there anything that I missed? Do you have any innovative webinar promotion hacks to share with us? Share it with us in the comments section. 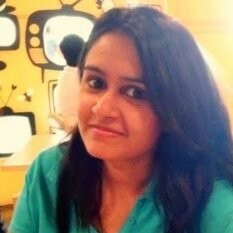 Smriti Chawla is a Digital Marketing Strategist with 5+ years of experience in the B2B SaaS space. She has played a key role in scaling demand generation efforts for some of the most successful startups out of India like, VWO.com (Wingify), MindTickle.com and more. Her works have been featured on sites, like ConversionXL, Unbounce, KISSmetrics, and more.